Many Webmasters and Bloggers would have heard of DoFollow and NoFollow Blogs.But many don't know what it is exactly..So the question is what a do-follow blog is? Here is a quick answer. 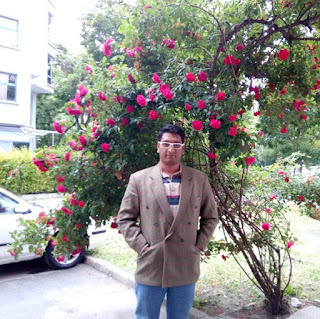 A Do-follow blog is one which serves do-follow link from comment section of that blog. By default, WordPress puts a No-Follow tag in HTML section which means it doesn’t give an such outbound link.Though by default blogger blogs are also doesn't serve such outbound links from their after entering the threaded comment system but just using a little tweak we can make that happen.With making it Do-follow you are going to share your page rank juice to the link in your comments section. In Short DoFollow blogs are sites that do not use NoFollow tag in their comment section.If you do make some comment with hyperlink you'll receive backlink from that blog. The main reason behind why people make their blogs as do-follow is for getting more comments. Wish to know how you'll get more comments by making a blog do-follow? Well the answer is quite simple cause you'll give your commentators a backlink. Yes it's true ! If your blog was not do-follow then the people who comment will get a No-follow link which will not serve them any Google PR Juice but making your blog a do-follow you'll serve them the PR juice which will help them in their SEO. Thus, they will keep commenting on your blog. When people know that your blog is a do-follow blog, they will definitely wish to follow your updates so that they can comment regularly and get backlinks rapidly. So it'll definitely help you to increase your no of subscribers. People will talk about your blog several places through out the net like on social media and also on their blogs. Yes, many bloggers create a list of do-follow blogs(even we) and put it in their blog posts for their readers to benefit from it. If you feature in that then you can also get that blogs readers for your site. Spammers love do-follow blogs and they target them more than the others because one approved comment means one backlink. Thus, you will have to deal with this and create system which can efficiently remove only the spam comments from your blogs.You have to work with that part. Since you are making comments Do-follow, every comment approved means a link given away. You should know that it can affect the Google PR and SERP as well. Yeah, there will be lots of Do-follow out bound links which Google and other Search Engines don’t like much and they may start neglecting your blog.. If you are looking for a better Page Rank then definitely making your blog a do-follow blog may not be a good decision. You have to drop this plan else not worry about Page Rank.Cause do-follow blog can hardly get a good PR these days. The other most fearful disadvantage is that Google may even ban your site if it has high number of links and less content, which is possible. So It is always recommended to follow certain precautions to keep your blog clean from such garbage links..
Hope this helps you in deciding whether to make your blog do-follow or not. Do share your view about this post on the comment box below. Spammers will always targeting do-follow commenting area! Fight the spam! Very informative. 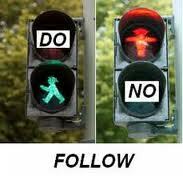 Now I know the difference between do-folow and no-follow. Yeah, for a while people were really concerned about whether our blogs were do follow or no follow. I didn't really care though. I'm ok with my blog being no follow as it is. :) I think the disadvantages outweigh the advantages. Techiezens Infosystems is best Digital marketing agency in Delhi India offers creative web design, development, online branding, seo services at very affordable price.Go through the site and get your service. It is a good blog and nice to know about this blog and thanks for sharing here with us.